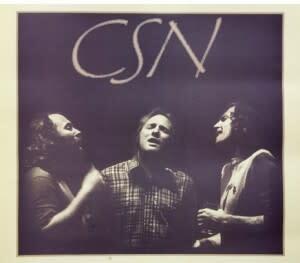 Posted on January 29, 2014 at 5:00:00 am by Barb S.
Think back through the years to when the folk rock group Crosby, Stills & Nash were young men blazing a trail of distinctive music – Judy Blue Eyes, Wooden Ships, Southern Cross, Woodstock, and Love the One You’re With. Well, guess what? You can hear them again, in person, when they arrive at the Embassy Theatre on March 19, 2014. 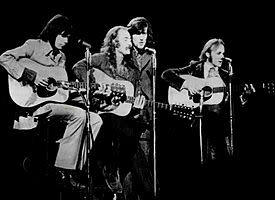 The guys, who are occasionally joined by a fourth member, Neil Young, have been on the music scene off and on since 1968, and have recorded for ABC Records, Atlantic and Reprise labels. Their recording of Joni Mitchell’s Woodstock became a hit and was most associated with the 1969 counterculture event. While the band was inducted into the Rock & Roll Hall of Fame, it is the only band to have all its members inducted twice into the entity from when each member was a rocker in another band. Bring your memories with you Wednesday, March 19, 2014 when you come to journey back through the Embassy time machine. Tickets are on sale now and are priced at $94, $71, $59 & $49 and are available through ticketmaster or call the box office at 260 424 5665. NOTE: NOT MANY TICKETS ARE LEFT, according to the Embassy Theatre website. The show begins at 7:30 p.m. The Embassy Theatre is located at 125 West Jefferson Blvd., Fort Wayne, IN 46802.